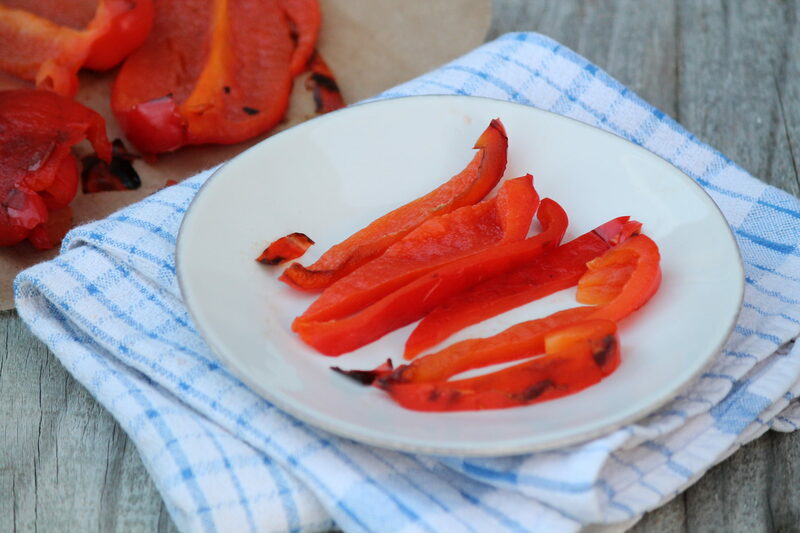 While store-bought roasted red peppers certainly suffice, doing it yourself is incredibly easy and quite tasty. These colorful vegetables–actually, bell peppers are technically fruit–also pack a nutrient punch. Whether mild or hot, peppers are nutrient-dense. They’re one of the richest sources of vitamins A and C. One cup of peppers provides more than 100% of your daily needs. A variety of colors in peppers will deliver the biggest bang for your nutrient buck. I think the bright colors enhance the visual appeal of food, too. Additionally, red bell peppers are a good source of fiber, folate, vitamin K, and manganese. Roasted Peppers are delightful in this recipe for Avocado Turkey Paninis. Click HERE to enter to win a Breville Panini Press and $50 worth of free coupons from Sargento Cheese! While it is traditional to roast red peppers, any type of pepper can be roasted, including yellow, green, or hot peppers such as jalapeños. Place an oven rack on the highest setting and preheat the broiler. Wash the peppers and remove any stickers. Cut each red pepper in half from stem end to bottom. Remove the seeds and the stem and place, cut side down, on a lightly greased or foil lined baking sheet. Press down on the pepper to flatten. I usually make a few small slits in the ends to help them to lay flatter. 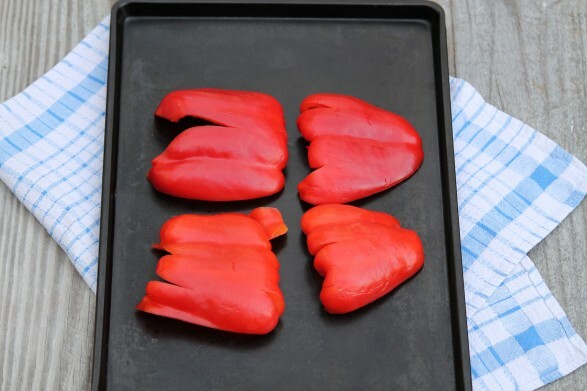 Place the red peppers in the oven and broil until the skin of the peppers blisters and turns black over at least half of the pepper. Depending on your oven, this may take as little as 5 minutes or more than 15 minutes. Leave your oven door open a crack and check them every minute or so. Turn the pan if some are turning black sooner than others. 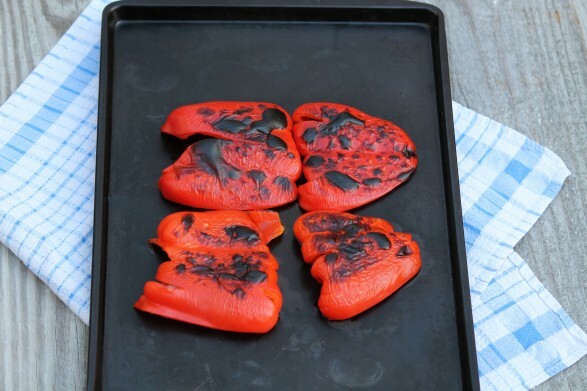 Remove the blackened red peppers from the oven. 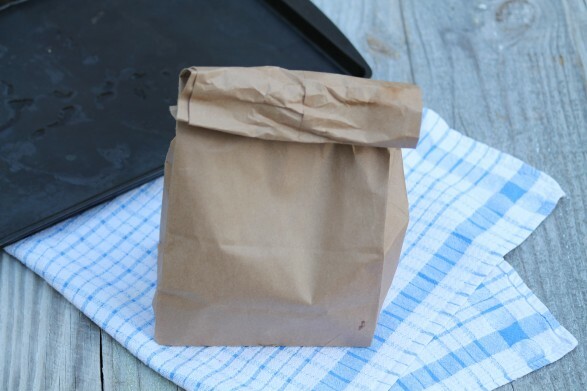 Using tongs, place the peppers in a brown paper bag or a zipper top bag. The peppers can also be placed in a bowl and covered with plastic wrap. Set the bag or bowl aside and allow the peppers to sit, undisturbed, for 15 minutes. Use immediately or place the roasted peppers in a glass jar or other airtight container. Cover with extra virgin olive oil, if desired. 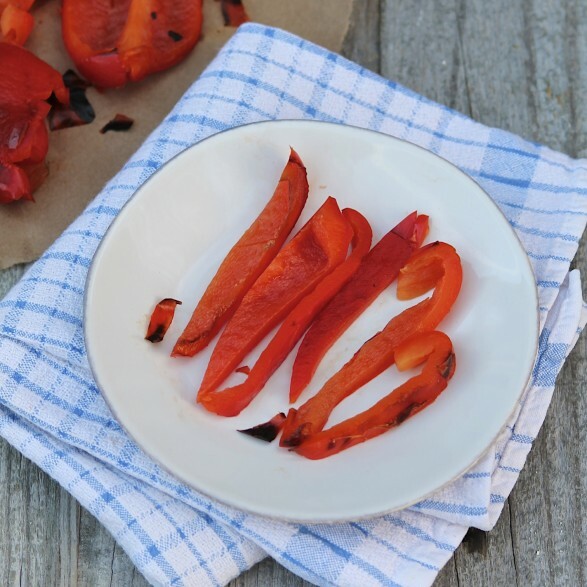 Without oil, the roasted peppers will keep in the refrigerator for up to a week. Covered with oil, they will keep for approximately two weeks. Plain peppers may also be frozen in a single layer. I have made these before and soo easy! One day I even roasted them over the burner on our gas stove. Worked really well!